It’s a great time to save at the movies! 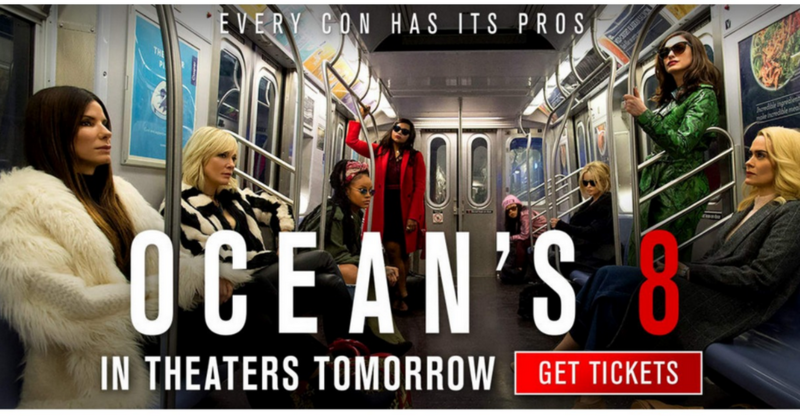 Atom Tickets is offering $8 off two movie tickets to see Ocean’s 8. There is no coupon code needed, and there is a limit of one deal per user. This movie is now playing! Offer valid through 6/19 or while supplies last.